To get the full scoop on the XE SV Project 8, Digital Trends sits down with SVO executives in this exclusive interview. 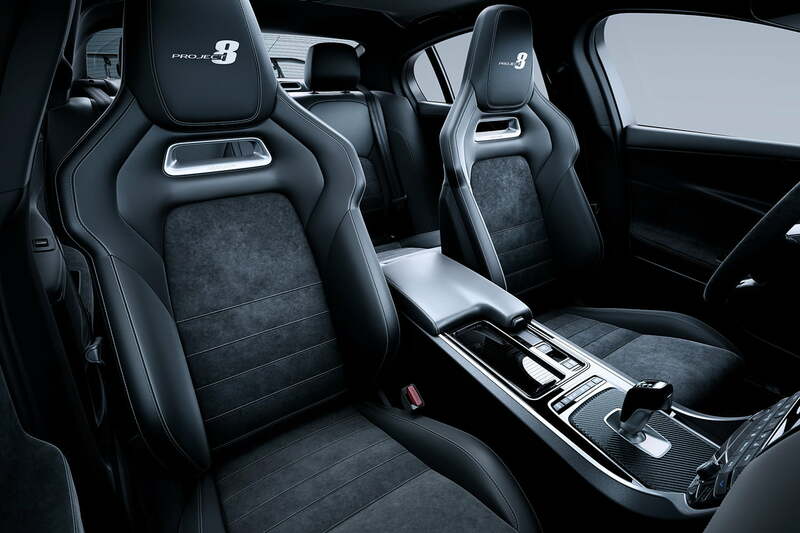 Jaguar Land Rover (JLR) is on a new product tear, expanding each brand’s portfolio to compete more directly with BMW, Mercedes-Benz, Porsche, Lexus, and Audi. Yet for all its new models, it’s JLR’s own in-house performance division – Special Vehicle Operations (SVO) – that’s generating the most buzz. Jaguar’s E-Pace and Land Rover’s Range Rover Velar may bolster the bottom line, but it’s the XE SV Project 8 that’s lighting fireworks from hay-strewn rooftops. 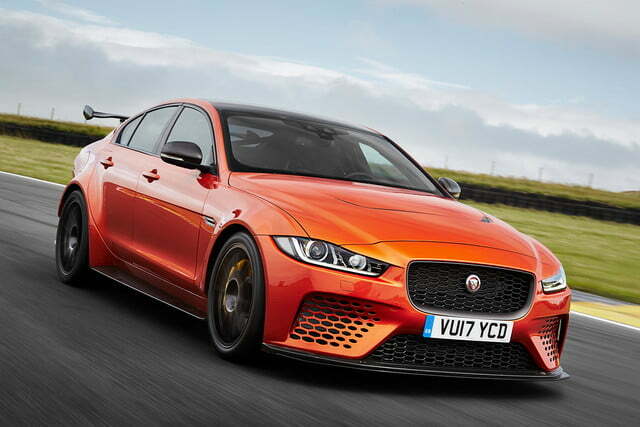 If you aren’t versed in SVO’s latest terror-mobile, be sure to read up on the Jaguar XE SV Project 8. 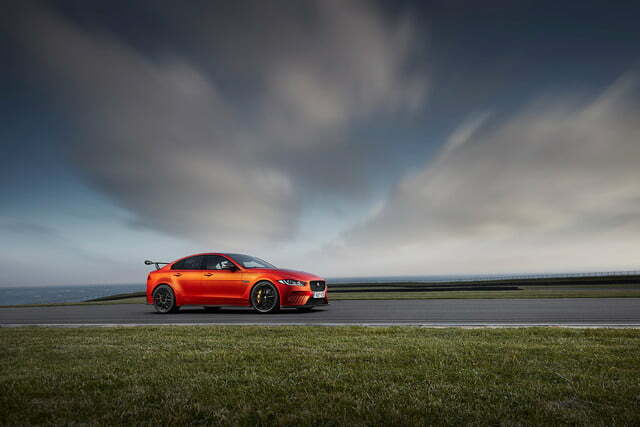 Executive summary: Project 8 is a 592-horsepower, 200-mph, track-focused version of Jaguar’s new compact sport sedan. 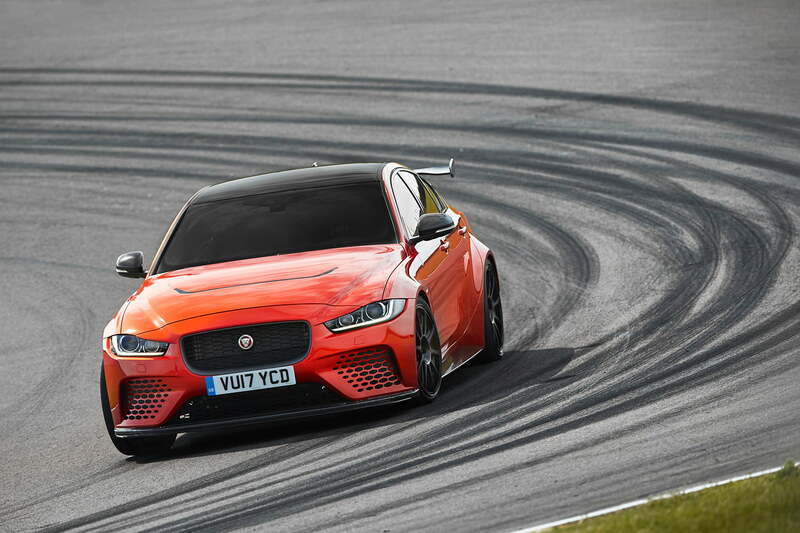 With only the XE’s aluminum-chassis and front doors as carryovers, the Project 8 is a ground-up extreme performance effort – the first assembled entirely at SVO’s new headquarters in Warwickshire, England. To learn more about the most powerful road-legal Jaguar ever – and SVO’s master plan – Digital Trends sat down with Dave Foster, SVO Advanced Product Creation Manager and Dan Connell, SVO Head of Global PR & Communications. 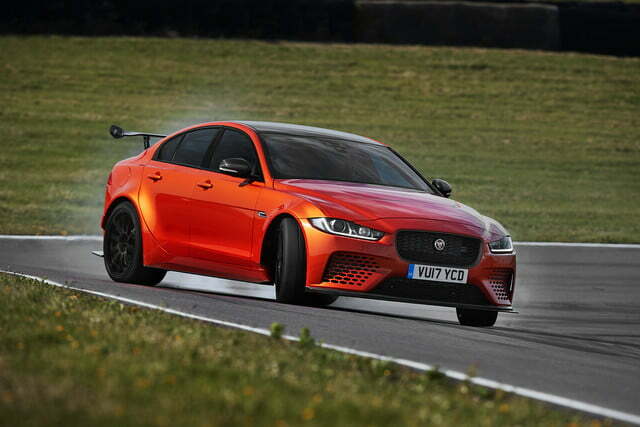 Digital Trends: What is the significance of the XE SV Project 8 for Special Vehicle Operations? What kind of statement is SVO trying to make with this car? Dan Connell: “It’s just the most exciting time for Jaguar Land Rover that SVO is able to do this kind of thing. Special Vehicle Operations was created three years ago; in that time we have delivered some incredible halo products. 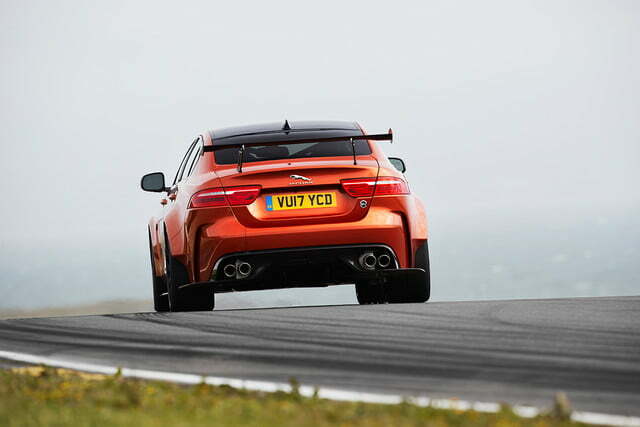 It started with F-Type Project 7 – a successful forbearer to this car. We also have the Range Rover Sport SVR, Range Rover SVAutobiography, and the F-Type SVR. This core group of products has helped Jaguar Land Rover reach new levels of performance, luxury, and capability. Digital Trends: What were some of the challenges and opportunities afforded by the Project 8? Dave Foster: “This was an chance to have a blank canvas. 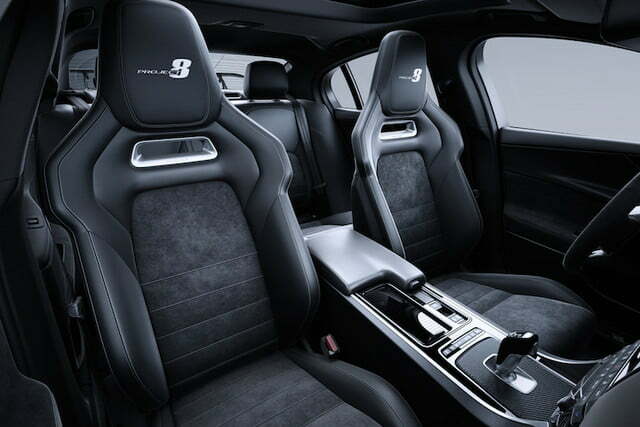 When we tried to conceive a project like this, we looked at the F-Type SVR and realized its parts weren’t suitable for what we were trying to create. So we took a body shell and started over. The first challenge was to accommodate a V8, then to accommodate massive tires, to configure adjustability for the track, to use carbon fiber extensively and in ways we haven’t before, and to work with the design team to embrace our engineering goals. We also had to balance VMax (top speed) versus naught to 60 mph times. 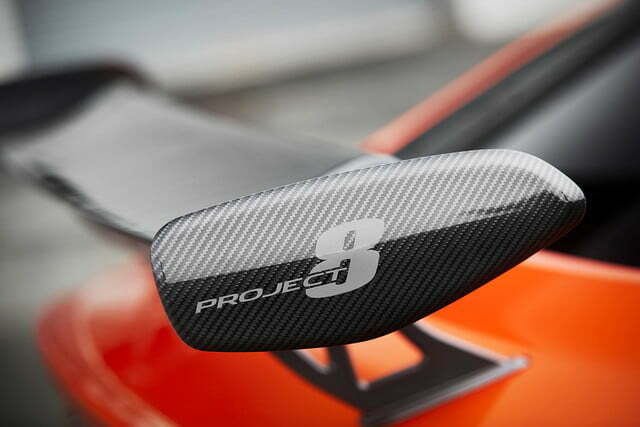 Usually we build a car to do one or the other well, but Project 8 had to do both, which came down to the aero. The front splitter we can move, the rear wing we can move, allowing us to go between a track mode and a VMax mode. The brakes were another challenge; these aren’t F-Type brakes, they’re a new composite material (CCM) with SRF brake fluid for longevity of performance. How would you compare the Project 7 to the Project 8 (as end-to-end endeavors)? Dan Connell: “Project 7 was originally designed by Ian Callum’s team to be something special, not another series production car. It was a design exercise with an engineering boost, limited to 250 units worldwide. Another interesting thing about that car was the list price of £135K in the U.K. – which was unheard of for a modern Jaguar. Now, if you were to find one for sale, it would be well over £200K. So we know that was both successful, and that there’s demand for those type of products. The Project 8 is the next step, but it is the most extreme performance Jaguar ever, and not just inspired by unique design. You mention the Project 7’s price tag – do you feel like there’s a threshold for SVO product pricing? What’s too much for an SVO-engineered model? 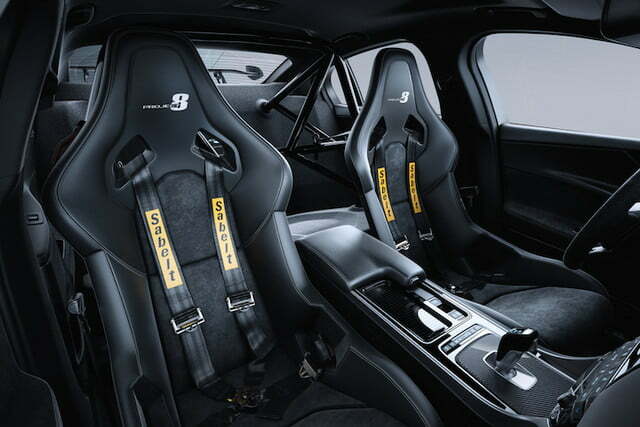 How does an SV Project car (project 7, project 8) compare to an SVR product, like the F-Type SVR or Range Rover Sport SVR? Since the Project 7 precluded the F-Type SVR, are we to assume the Project 8 will lead to an XE SVR? Dan Connell: “That’s a fair question. 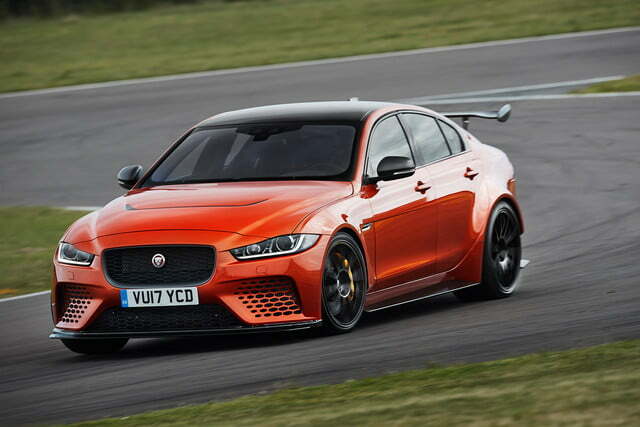 When we consider what SVO should be to JLR, we actually feel there’s more demand from our customers for something like the XE SV Project 8 — you know, extreme performance — than for a V8-powered XE SVR road car, so there aren’t grounds for one right now. How would you compare SVO to other luxury tuners like BMW M, Mercedes-AMG, Audi RS? What makes SVO unique? How is SVO thinking about Land Rover versus Jaguar products? Which products are more appealing for SVO tuning, or are there specific segments of each brand that you’re eyeing? At what point is the hand-off between JLR’s engineering team and SVO’s team? Does SVO assist on any standard Jaguar “S” cars, or visa-versa on SVO’s SVR or Project cars? Where is the line drawn? Jaguar is now involved with Formula E, so does that influence SVO’s thinking about electrified performance? 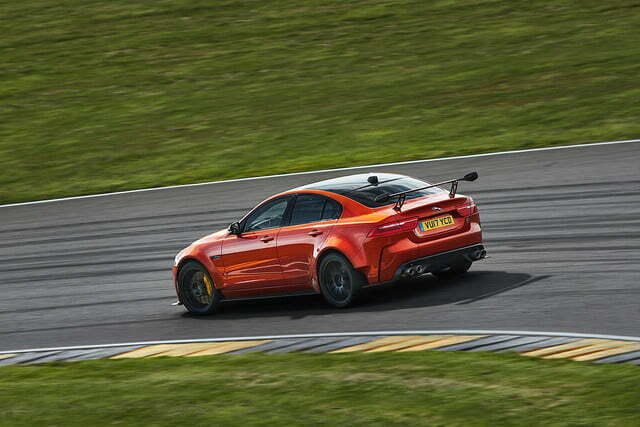 What was the focal point of the Project 8? Obviously it’s a combination of many factors, but there was probably one central element over all: was it weight reduction, aerodynamics, engine performance? 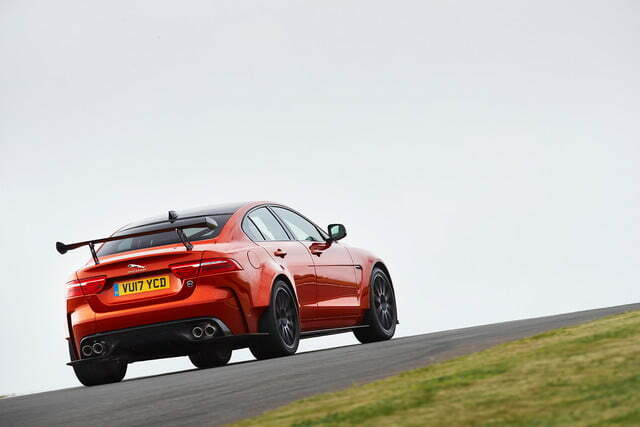 Is there anything you really want Digital Trends’ readers to know about SVO or Project 8? Dan Connell: “The key is: we will definitely launch a new SVO product each year for the foreseeable future, so this is only getting bigger. We have these core halo products: SVR, SVAutobiography, and, in the future, SVX, and then we’ll continue to build these from-scratch Project cars. Jaguar Land Rover Classic business is roaring now too. We just introduced the XKSS in Los Angeles. We just opened the Classic Works office in the U.K., which is fit to maintain the 1.5 million classic JLR vehicles worldwide. There’s a lot to look forward to from SVO.